The Junk Food Snack industry is fierce. 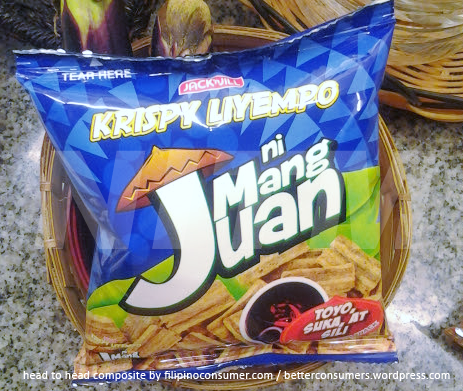 Jack N’ Jill, makers of Mang Juan lines of snacks, recently released a new line of salty-flavored snacks: Krispy Liempo ni Mang Juan. This new line of Mang Juan is out to challenge Oishi’s Marty’s Baconette Strips, their pork-line of salty snacks in the market. Let’s see how it fares shall we? 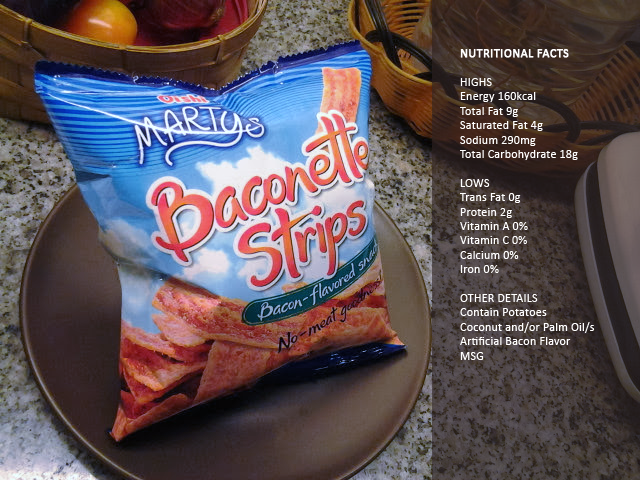 With a score of 1 against 4 of Marty’s Baconette Strips, I can say innovation and flavor won it for the latter. I cheer on Mang Juan for attempting to do battle with Oishi’s Marty’s Baconette Strips but it should come out with a different product altogether to erase any comparison with Marty’s. The exact appearance of its fried snacks versus Baconette Strips and having a Liempo flavor, is not the way to go in dislodging Marty’s off the top especially when the look and taste of Bacon is more distinguishable. The overpowering saltiness of the product didn’t do well for me especially in the category of ‘Junk food’. 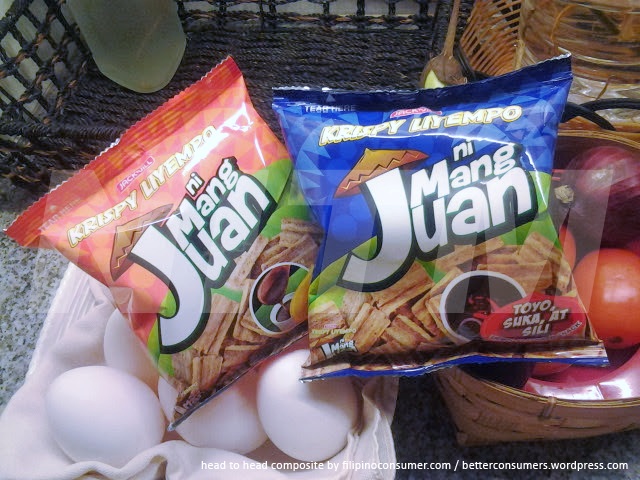 To improve this line of product, Mang Juan should stop thinking about confusing the market by going after the ‘similar’ approach and go for something unique: Make this chips look bigger because it’s replicating the Liempo look or maintaining its duo-tone of browns but making the shape appear like chopped Liempo. Creativity is a must in grabbing a share of the market so let’s try again Mang Juan but yes, maintain the spirited approach of your packaging, it’s looks way better than Marty’s. Hi! I would first like to say, your junk foods are amazing. Interesting project. Thanks for the comment, Marini, but we’re a blog that reviews consumer goods. I’ll forward your message to Liwayway Marketing Corporation – makers of Oishi goods. If you want to call them, please contact this number: (02) 844 8441. More power and God guide you to the success of your project.